As teams and fans travel to Salem Civic Center, Salem VA today, the host of the VHSL state tournament for the 4, 3, 2, and 1 A schools, Oscar Smith in Chesapeake, VA will host the 5 and 6 A wrestling state meet. Not going to discuss the big divisional schools nor the smaller A’s as the focus will only be on 4A. I will note that this is the first time that the VHSL will extend the wrestling State Championship through a 3-day period. It’s somewhat mind boggling to be pushing it to three days, as it always has been scheduled for a Friday and Saturday two-day event. At each weight class, both East and West region qualified six wrestlers making up a 12-man field. 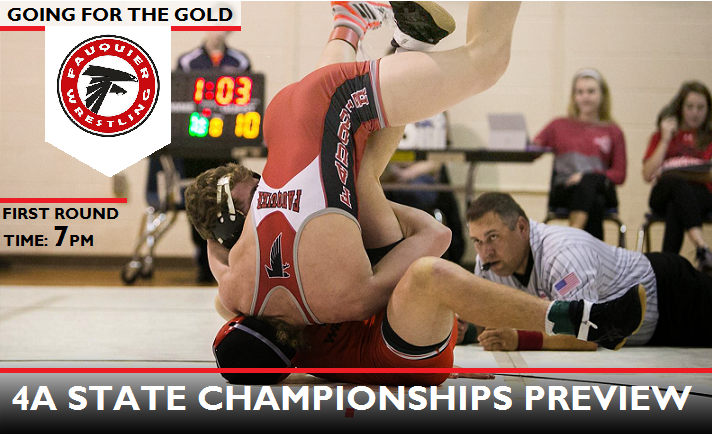 The past three years VHSL has had a traditional 8-man bracket and for many years before this time the state meet hosted a traditional 16-man bracket. But having a 12-man bracket for the 2017 State Championship will bring on four byes at each weight class. Any common fan and or coaches might agree that this is way too many byes for a State meet. Looking at this format this may be the first time in history that a wrestler must weigh-in on the first day and yet not wrestle on this day. That’s right folks the number one and two seeds in each weight class will be called to only beat the scale. However, I’m not here to disagree with what the VHSL has in place as all wrestlers will eventually have a first round match. 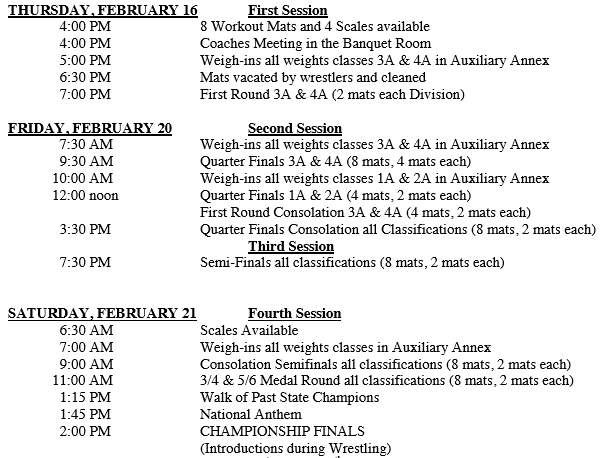 The schedule only has 8 of the 12 wrestlers in each weight class competing today, which will make up those lower seeded wrestlers; the higher seeded wrestlers must wait until Friday day 2 of the state meet to compete. As Eastern View (8), Fauquier (5), and Great Bridge (5), fill each bracket with the most number one and two seeds, do not be surprised to see Liberty and or Smithfield in control of the leader board after the conclusion of day one wrestling. Liberty with (8) and Smithfield (6) both having the most lower number of seeded guys which means more on deck wrestling with matches for them today. (120) Kyle Budd, (145) Ty Foster, (160) Sam Fisher, and (170) Franco Camarca all won the region last week and are the No. 1 seeds. Budd finish 2nd place in states his Freshmen year and is a returning state champ for the Falcons winning the title last year. Foster took a 3rd place at state last year and is hoping to get to the State finals this year. Q: The Falcons have five byes in the first round of the State meet and not being able to score points from these core wrestlers on day 1, any concerns or thoughts to how the VHSL is running the event and how the brackets are set-up this year. Fisher: "I have significant concerns. Not only were the pairings published prior to the regional tournaments which is a well-established bad idea, but giving 1st round byes essentially handicaps the teams that had the most success getting finalists in the Regional Tournaments. 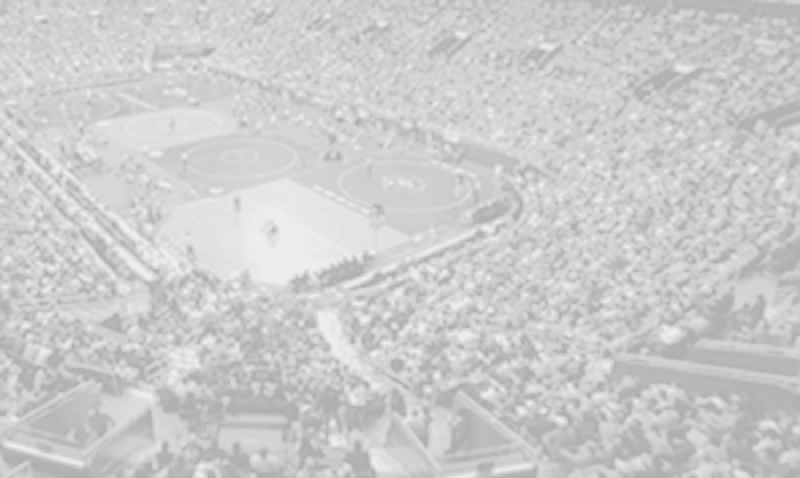 Throw in the 3-day debacle decision with guys weighing in but not wrestling on day 1, and essentially you have utter and complete nonsense everywhere you look." Q: Winning the 2017 West Region last week in Amherst HS. for the seventh time with five in the finals and sending eight wrestlers onto the state meet is a great accomplishment. Any reflection on the team in the post season leading into the 4A States – it seems that the team is peaking at the right moment. Fisher: "We have had significant success in the past with respect to getting guys to peak at the right time. I believe we are on a good track again this year. We have had to battle through more injuries this year then I want to see again in a lifetime, but injuries are part of the sport, and the guys just have to keep their focus on the end goal. We have had a great week of practice, the guys are in good spirits and feeling good about their chances. We control our own destiny which is very comforting." As day one will start tonight at 7:00PM as the Falcons will have three wreslters: (126) Ethan Jordan, (138) Cam Franklin, and (195) Jackson McEachin on deck to wrestle in this first round. Day two of the state meet will have all eight Falcons competing regardless of how they do on the first day. Kyle Budd, Ty Foster, Joe DelGallo, Sam Fisher, and Franco Camarca all have them competing in championship Quarter finals round starting at 9:30AM on Friday. Currently the Championship Semi-finals are scheduled for 7:30PM on Friday. The Championship Finals will then occur on Saturday at 2PM.